This Irish nutcracker is made by Kurt S. Adler. 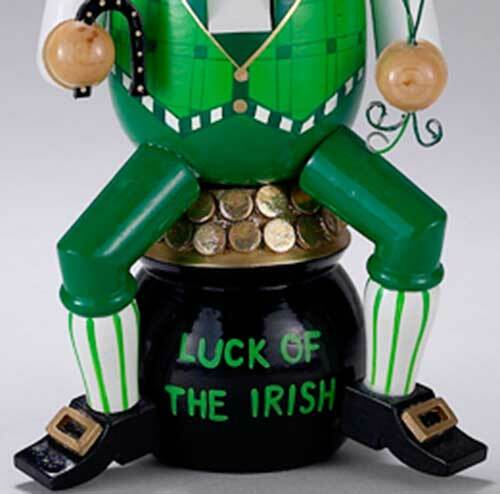 This Irish nutcracker features a leprechaun sitting on a pot of gold along with shamrocks and a horseshoe for good luck. The leprechaun nutcracker is a hand-painted wooden figurine with a functional jaw; he measures 12" tall. 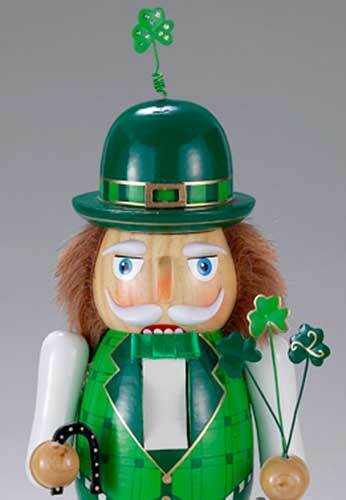 This hand-painted Irish Nutcracker features a "pot of gold", shamrocks and a horseshoe for luck!